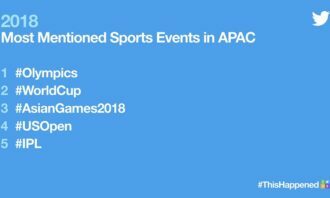 All eyes on Asia in the 2018: What were the 10 trending hashtags on Twitter? As 2018 starts wrapping up, it seems that Asia stood bright in the spotlight in 2018, particularly as the region commemorated major milestones on the global stage. 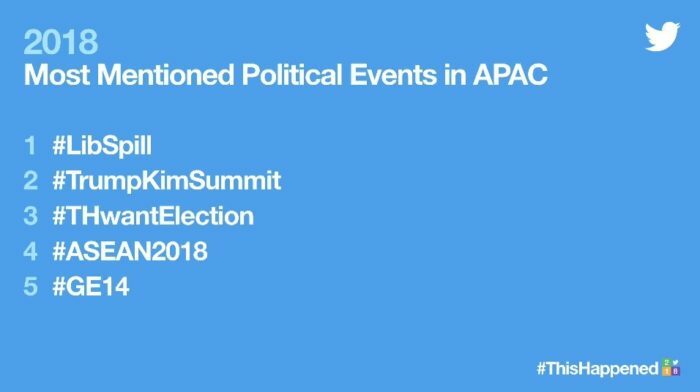 According to data from social media site Twitter, from the making of history during #TrumpKimSummit and #GE14, global eyes were on Asia this year. On a light-hearted note, #CrazyRichAsians, the first Hollywood film starring an all Asian cast (since The Joy Luck Club 25 years ago) generated much buzz on Twitter as Asians and Hollywood celebrities alike Tweeted in support. Singapore, Malaysia and the Philippines were amongst the top five countries that Tweeted the most in relation to the film. The movie garnered over 350,000 tweets just over the opening weekend in the US, making it the most talked about movie in August around the world. The world was also transfixed by 13 young men from Chiang Rai, Thailand for almost a month when 12 schoolboys and their coach from a local football team who went missing in the caves after a monsoon downpour gripped the nation with worry as news bulletins and social media erupted with news of an excursionturned- disaster. People across the globe turned to Twitter to follow what was happening on ground with the #ThaiCaveRescue. 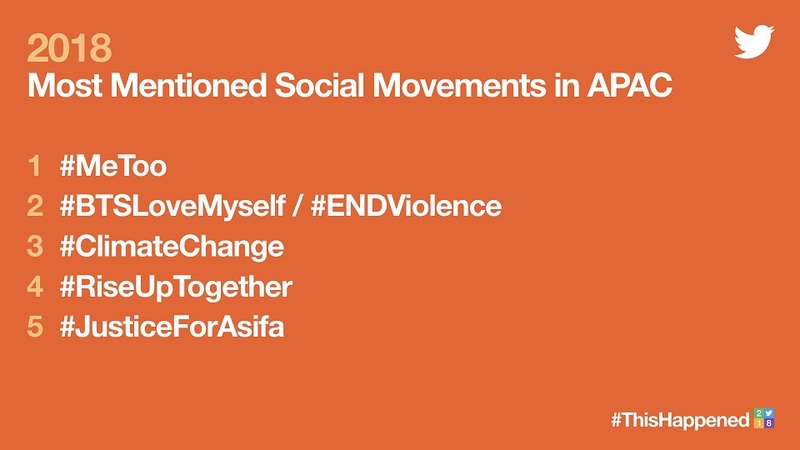 But the Golden Tweet of Asia Pacific in 2018 – the most retweeted tweet – is a video of BTS member J-Hope take on the #InMyFeelingsChallenge, a dance craze that swept the internet, with thousands of Twitter users (celebrities included!) sharing videos doing the same moves to the tune of Drake’s hit song “In My Feelings”. Whether it’s in Australia, Indonesia, Japan, Singapore or Thailand; fans across Asia can’t stop Tweeting about Kpop. Korean bands BTS (@BTS_twt), EXO (@weareoneEXO) and GOT7 (@GOT7Official) emerged as the most Tweeted about hashtags this year in Asia. This year marked the first time that South Korea hosted the Winter Olympics, and the second Olympics held in the country overall. Sporting fans took to Twitter to watch live game updates and cheer on their country teams while entertainment fans joined in the celebrations, which included performances by popular Kpop bands, EXO (@weareoneEXO), iKON (@YG_iKONIC), Red Velvet (@RVsmtown). The FIFA #WorldCup played out on Twitter in a big way as football fans around the world gathered in one global conversation. 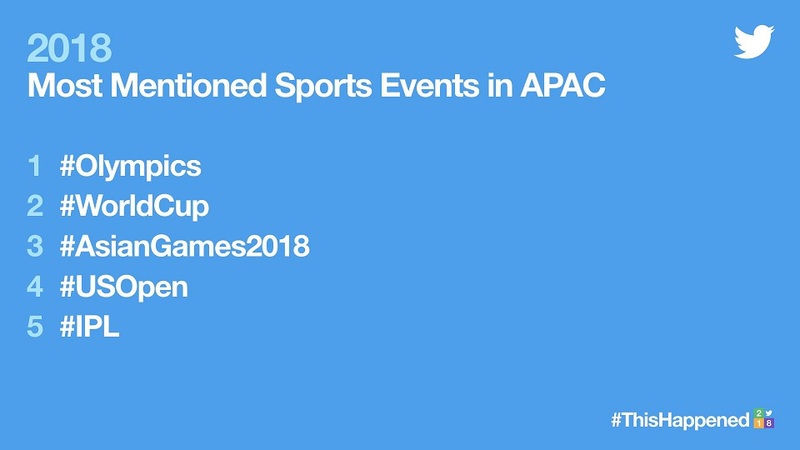 With football being the most popular sport in most Asian countries, fans on Twitter celebrated sporting victories during the World Cup when South Korea defeated reigning champions Germany, booting them out of the Group Stage; and when Japan became the first Asian country to defeat a South American team in the World Cup. The Japan national football team is not the only group with strong support from its citizens; convenience store chain #Lawson emerged as one of the most Tweeted hashtags in Asia, confirming the prized place of convenience stores as a huge part of local society and culture in Japan. Breaking the Kpop stars dominance, the top hashtags in Asia this year also saw an increased popularity in Thai entertainment, affirmed by singer Palitchoke Ayanaputra’s inclusion in the top 10 hashtags this year. 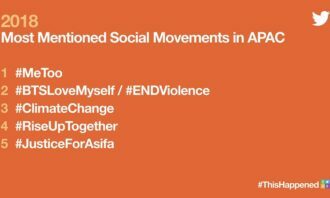 The global social movement calling out and condemning sexual harassment and abuse, ignited in Asia this year, especially in Australia, India, Japan, Singapore and South Korea, and users turned to Twitter to speak out, making it the eighth most mentioned hashtag in our region. Gaming conversation continues to be huge on Twitter, and it is represented on our top hashtags list at number nine by #Fgo – Fate/Game Order, a hugely popular online role-playing game. Released in 2018, #Sarkar, the Tamil film starring Thalapathy Vijay (@actorvijay), has been making massive gains worldwide, winning the appreciation of fans. Underlined by a political theme, the buzz around the movie was further amplified with audiences taking to Twitter to express their opinions, and making #Sarkar one of the top hashtags of 2018 in India and the region. Meanwhile massive waves of political movements such as the general elections in Malaysia and also the Trump-Kim summit drew in global attention for the region. Here are the top political moments in Asia Pacific. In August 2018, Australia installed a new Prime Minister as Malcolm Turnbull was deposed as leader and Scott Morrison took the reins – making him the sixth Prime Minister in 11 years. With #auspol as the number one hashtag in Australia again, it was no surprise to see Aussies take to Twitter in huge numbers to discuss another leadership change in the top job. History was made when world leaders U.S President Donald Trump and North Korean Supreme Leader Kim Jong-un met for the first-time in Singapore. From political leaders to journalists, experts to citizens, the world watched and talked about the summit on Twitter generating nearly 4 million tweets from 1 June and a spike in tweets per minute (5,200) when the world leaders shook hands. As the junta marked the fourth anniversary of a military coup on 23 May 2018, Thai users started the hashtag on Twitter to urge for a re-election. The 33rd ASEAN Summit (and related Summits) was held in Singapore from 13 to 15 November and Twitter partnered Singapore’s Ministry of Foreign Affairs (@MFAsg) to livestream the summit for the first time ever; strong interest in the region’s biggest diplomatic meeting with 2.1 million Tweets during the week. Malaysia witnessed its most extraordinary election result in Malaysian history as results of this General Election brought an end to its ruling party, Barisan Nasional. 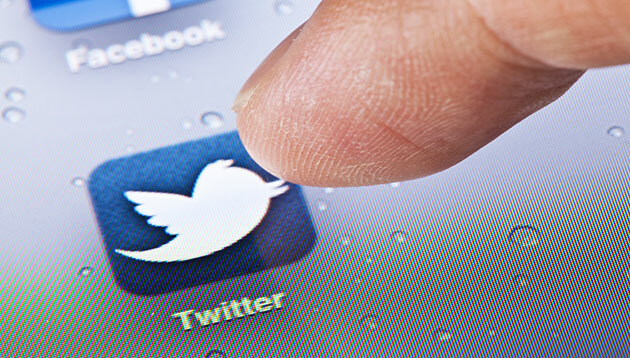 During the 1.5-week campaigning period, there were over 7.3 million Tweets. In the last round, it was down to BBH and JWT. More on the winner here. ..